Drinking cucumber water has become one of the latest trends when it comes to weight loss and detoxing the body. This couldn't have come at a better time as it just so happens to be the cucumber season and look what I've picked out of our garden. So the last couple of weeks we've been putting all kinds of ingredients together to come up with a delicious but easy to make weight loss beverage using these friendly green veggies. There are lots of recipes and ideas floating around out there, but when it comes to enhancing the water that we drink, it's all about the flavor and the nutrition we want to achieve. It's that simple, but incredibly personal. Of course the main ingredient will be the cucumbers, but in reality they do not offer much in the way of flavor. That's why most of the recipes suggest adding fresh mint and some kind of citrus too. 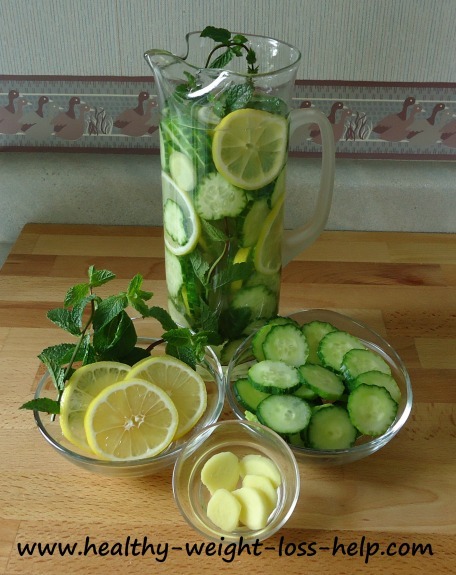 Mint and lemon slices really make this beverage an amazingly refreshing drink. No toothbrush, no problem, just have a big glass of this stuff and your mouth will feel cleaner and fresher (I was drinking different variations of this recipe for the last couple of weeks and it really works). So here is the end result. An easy to make recipe that makes water so much more delicious to drink. Take the cucumbers and wash well. Then with a fork, apply a little pressure and score the cucumbers lengthwise to give them a fancy little design like in this picture (a little trick Mom showed me years ago). It's definitely a nice touch, especially if you're entertaining. It makes your drink look so much more appetizing and you know what they say, if it looks better, it usually tastes better. Take a water jug of your choice and put all the ingredients into it. Place in fridge and let the flavors infuse for about 6 hours or overnight. Water is the most important beverage our bodies need, not only for weight loss, but to stay healthy and what a great way to drink more by flavoring the water we have and making it more appealing. Since we have also added lemons we can enjoy all the health benefits of the vitamin C it provides, not to mention lemons are loaded with antioxidants which help detox the body. 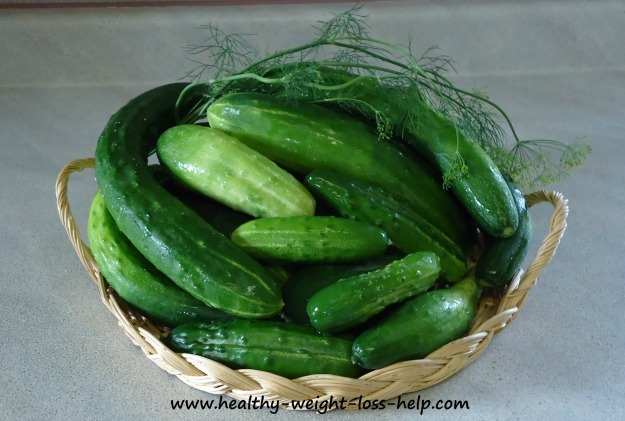 The one great thing about cucumbers is they are extremely low in calories and are high in nutrition (such as vitamin C and potassium), but unfortunately do not release much of those nutrients just by soaking in water. 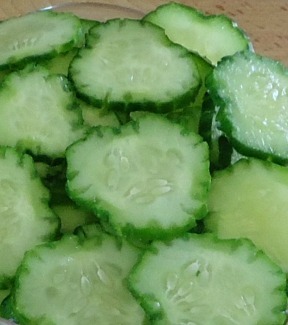 To get the true nutritional benefits, you have to eat the cucumber slices. Don't get me wrong, a little of the good stuff does infuse into the water but not very much. But this drink tastes so great because it absorbs the lemon and mint flavors so well, making it incredibly refreshing and wanting you to drink more. If you are not a fan of mint you will definitely want to omit the sprigs. But that is the great thing about creating your own brand of flavored water, the choices are endless. Love the fact that this drink does help hydrate and detox the body. What a great weight loss beverage. This drink also looks great being served to guests on a hot summer day in a nice glass water jug. Make double batches so the whole family can enjoy. Place in clear water bottles (ones with a larger mouth opening) that will be handy for work, school or play.